Every economy of an advanced nation relies on information systems and interconnected networks, thus in order to ensure the prosperity of a nation, making cyberspace a secure place becomes as crucial as securing society from the presence of criminal bands. Cyber security means ensuring the safety of this cyberspace from threats which can take different forms. Stealing secret information from national companies and government institutions, attacking infrastructure vital for the functioning of the nation or attacking the privacy of the single citizen can all be seen as extreme examples of a large spectrum of threats. Additionally, perpetrators of attacks on cyberspace are now professionals working for governments, hacktivist organizations or criminal bands rather than teenagers looking for some short-term celebrity as it was in the old days. Intelligence operations are conducted through cyberspace in order to study the weaknesses of a nation and, to complete the picture, in the military domain cyberspace is now seen as one of the dimensions of the battlefield just like space, sea, ground and air. Understanding the complexity of the picture of making cyberspace a safe place turns out to be a problem which is not only technical but rather a social, legal and economic one. 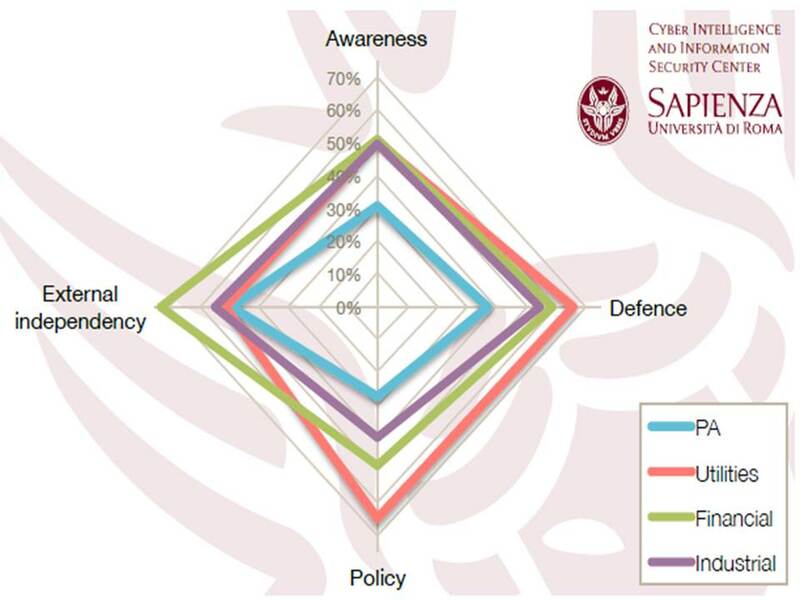 Improving cyber security knowledge, skills and capability of a nation will be essential for supporting an open society and for protecting its vital infrastructures such as telecommunication networks, power grid networks, industries, financial infrastructures etc. 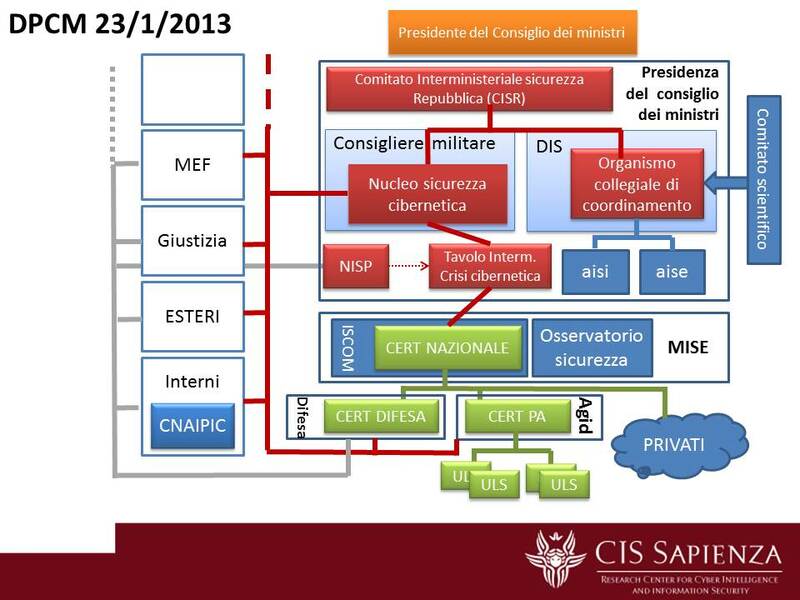 The series "Italian cyber security report" aims at analyzing several aspects of cyber security scenario in Italy by publishing a report on a yearly base. 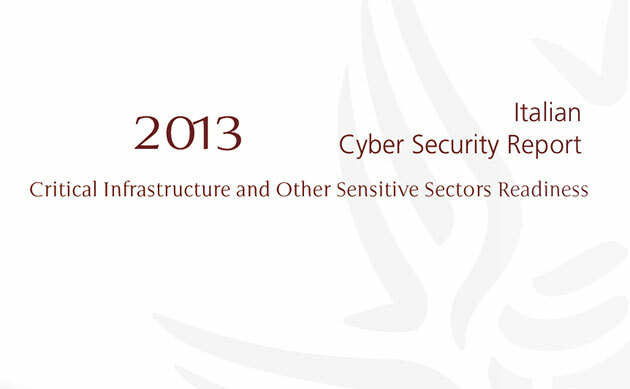 For 2013 we focussed on the readiness of critical infrastructures and sectors to resist to cyber attacks.